How do we bring health into the home? This is a key question Gregory Lee has been exploring as president of Nokia Technologies. In his role at Nokia, Lee dives into opportunities and challenges for healthcare technologies. It’s an interest sparked nearly 20 years ago as the former president of Johnson & Johnson Medical Devices Asia Pacific. A proud Triton, Lee was thrilled to be invited back to campus by Ulrike Schaede as their current Pacific Leadership Fellow at the UC San Diego School of Global Policy and Strategy’s (GPS’s) Center on Global Transformation (CGT). 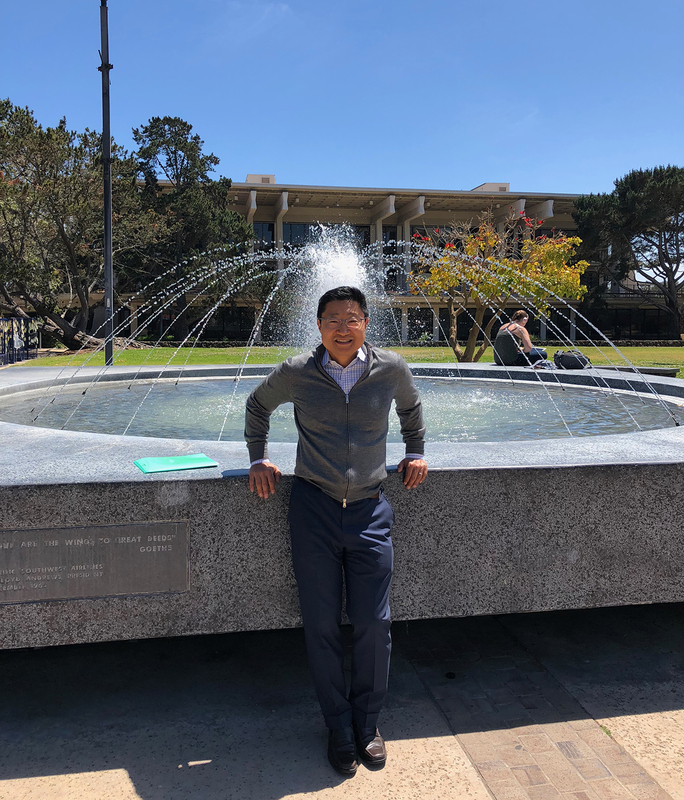 When asked about his favorite spot on campus, Lee reminisced about the Revelle College Plaza fountain and his favorite beach walk at La Jolla Shores. In charge of driving fast growth and operational excellence, Lee is a proven consumer technology and innovation leader. His impressive background also includes a 13-year career at Samsung, managing a portfolio of products including new market segments such as digital health, virtual reality services and digital content. During his April 30 - May 18 residency, Lee delivered a public talk on “The Future of Digital Health,” in which he discussed critical issues of adaption, accelerators of technological advancement and success stories of the digital age. 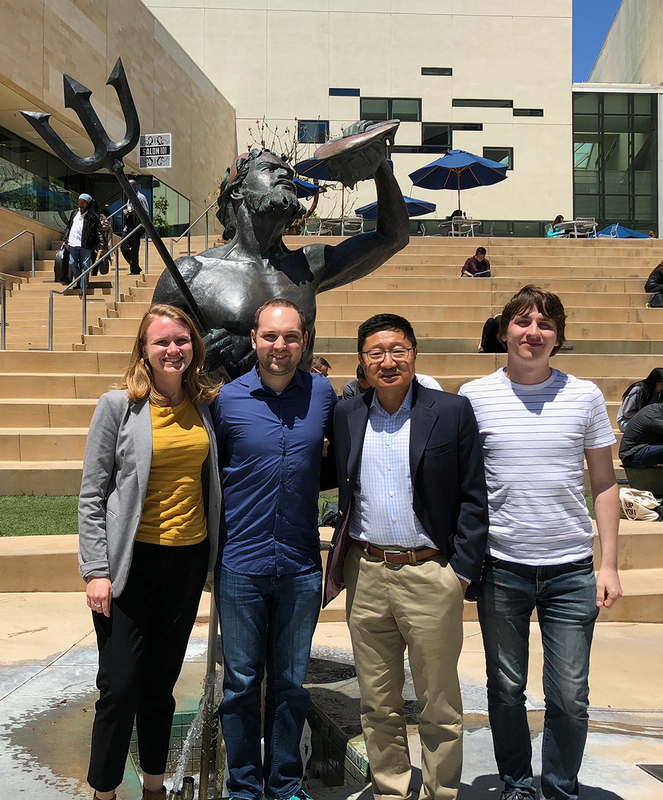 Read below as Lee shares his impressions about the fellowship, including how it inspired him to continue to give back to UC San Diego. What led you to GPS as a CGT Fellow and what has been your overall impression so far? GL: As an alumnus, I’ve kept in touch with a variety of departments on campus. I met Professor Ulrike Schaede a few years back in Silicon Valley and became interested in GPS’s academic richness and its new Japan Forum for Innovation and Technology (JFIT). I like to visit San Diego a few times a year and told her I would put together a program for the new research center. The school’s ability to leverage the hard sciences and focus on quantitative aspects of policymaking and global studies is perfect. It’s very unique in the University of California system. My career has included a mix of experiences between the U.S. and Asia. In Asia, I lived in Hong Kong, India, Korea and Singapore. You have to know about those cultures to be successful in both those markets and your career. I think GPS offers a great program to prepare students. As an expert and leader in consumer technology, where do you see us headed in the next few years? GL: Technology is being advanced at incredible levels. It’s getting faster and impacting our lives through so many different outlets. How we learn has been affected by technology with the digitalization and virtualization of everything. We are ubiquitously present with each other. All of this content availability has made credibility, trust and branding so important in the university setting. UC San Diego’s brand has become even more important in the digital age. Your talk was on the future of digital health. How has your time at Nokia and Samsung technologies inspired your interest in driving innovation? GL: If you look at the smart phone, we now have all this access, all this content, memory and history at our fingertips. I predict the same thing can happen in health care and will enhance content, services and reduce cost. Instead of going to your local doctor, you will be able to call your doctor remotely or pick the best specialist from anywhere in the world. All of these services can be charged through the platforms we already use. While the big issue is around regulation, once those changes happen, the health care industry will adapt. Having served as a panelist at the recent JFIT "AI and the Future of Society" conference, what was the biggest takeaway? GL: Every single time you get together with people on technology issues, you realize how fast technology is moving and how emotionally and socially unprepared we are, especially with AI. How it will affect people’s jobs is incredible. Schools like GPS can be really helpful at preparing our workforce and creating policies that are friendlier to technology changes. Your residency focuses on technology, business and economics in the Pacific region. What do you hope to learn at GPS? GL: My main goal was to give back to the university. I have really enjoyed talking to the students and faculty about how things can be improved from an outsider’s perspective. The world has changed a lot, there is so much upheaval of how you learn. We are in an ecosystem, we need a holistic approach rather than a siloed approach to problems. Research and academics can be better utilized if we work together with corporations and governments on real-life issues in society. That is very important. You’re a UC San Diego alumnus. As a fellow Triton, what advice can you give to our current students and those graduating in June? GL: The best advice I can give is that you have to be resourceful, resilient and adaptive. At the end of the day, there is no one criteria for success. You just have to adapt to changes and keep moving forward. Study technology and be a part of technology. More and more companies want “technology comfort.” Leverage the resources while you are here. Don’t forget to use UC San Diego as a spring board to transition into the next thing. View a photo gallery of Lee’s visit.